With December fast approaching, the ‘Let’s do it for ME!’ team have been busy working away behind the scenes to bring you a little festive magic by creating a fabulous online advent calendar. The idea came about after we were discussing that it would be really nice to do something Christmassy, as well as celebrate the high standard of entries in our recent ‘Let’s Get Snapping for ME’ photo competition. 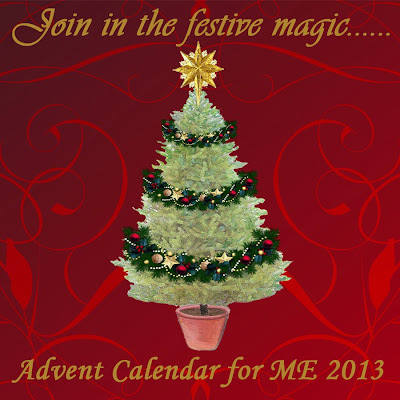 Thanks to Julia Cottam, our advent calendar brings this all together brilliantly! Every day, between 1st and 25th December, a different photo will feature which will be magically transformed to form part of our advent scene below. We are going to post it on our blog, Facebook page and special Advent Calendar Event page so that as many people as possible can join in the fun. 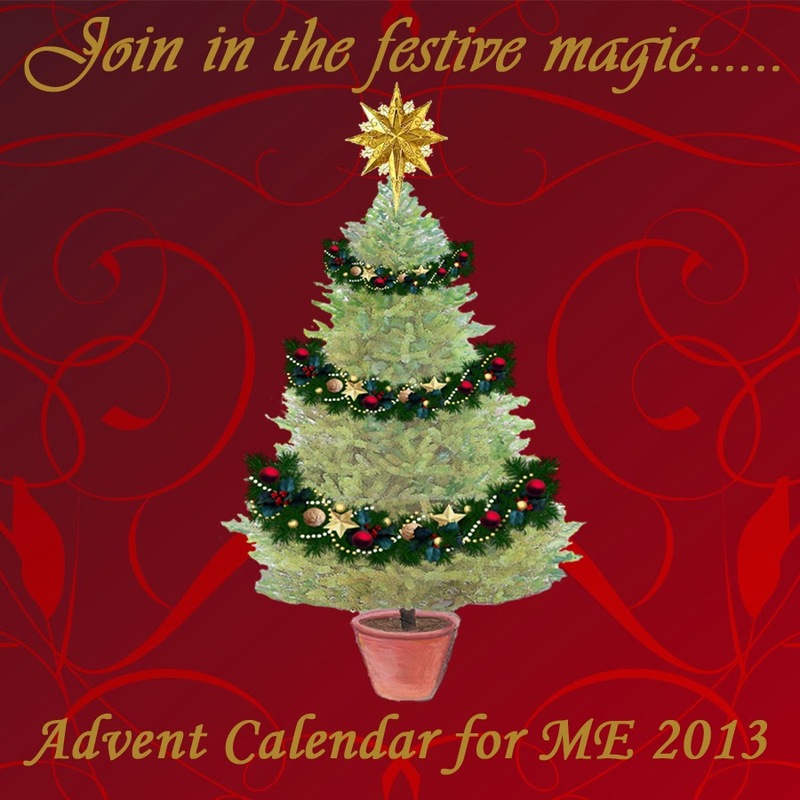 You are more than welcome to download the calendar to your computer or mobile device using it, for instance, as wallpaper (we will be uploading different sizes to cater for different screen sizes), or simply print off a PDF version. You can even just pop by each day to see the latest addition, or follow our blog where it will be delivered directly to you! And don’t forget to share it with friends and family too – the more the merrier. Finally, because it’s not fair to keep you in suspense any longer, here's a sneaky peek at our fabulous advent scene by Liz Willsher, which will be magically transformed in the run up to Christmas. With special thanks to Liz for the artwork and to all the entrants of ‘Let’s Get Snapping for ME’. We hope you enjoy our festive offering. 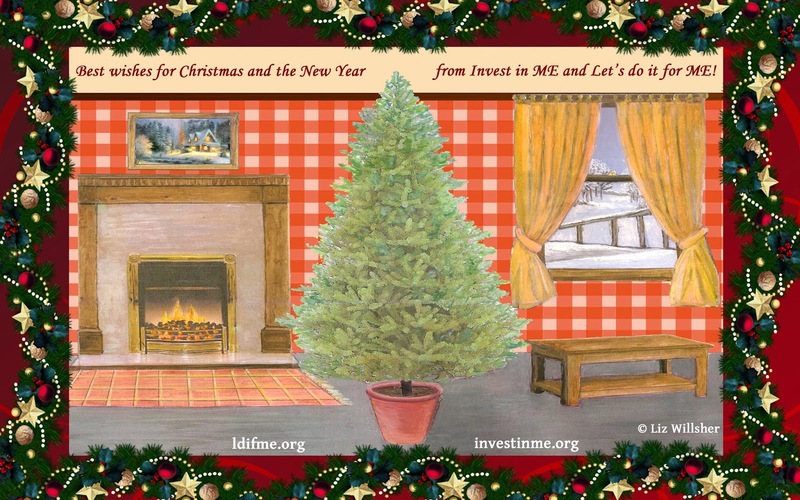 Let’s get Christmassy – let’s do it for ME! 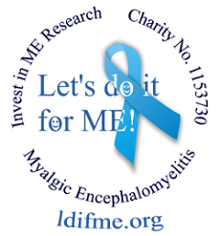 Just a quick reminder, whilst doing your Christmas shopping online you can help raise funds for free for Invest in ME by using cash-back sites and a special Amazon link. You can also win £1000 worth of gifts for yourself and £250 for the charity by entering ‘Give as you Live’s’ competition. For details about the cash-back sites, Amazon link or competition click here.